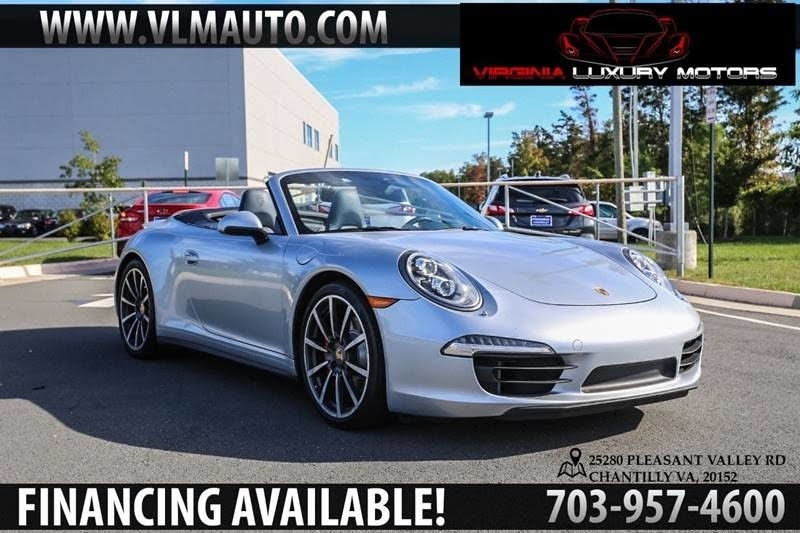 CARRERA 4S ** AMAZING CONDITION w/ CONVERTIBLE** AWD** DOPPEL KUPPLUNG (PDK)** NAVIGATION** HEATED ELECTRIC SEATS**LEATHER INTERIOR **POWER SPOILER** TECH PACKAGE**COUPE***STEERING WHEEL CONTROLS**TOUCH SCREEN OPTIONS**ILLUMINATED ENTRY**MP3 DECOR**DVD AUDIO****DUAL EXHAUST**20 PREMIUM ALLOYS** !! !A MUST SEE FOR PORSCHE LOVERS!!! WE HAVE THE LOWEST FINANCE RATES ON APPROVED CREDIT.BAD CREDIT NO CREDIT NO WORRIES** OVER 20 LENDERS AVAILABLE ...HURRY UP APPLY ONLINE at WWW.VLMAUTO.COM FOR PRE APPROVAL & BEST BUYING EXPERIENCE,? CALL NOW at 703-957-4600. OPEN 7 DAYS...TRADES WELCOMED... CAPITALONE AND ROADLOAN DEALER PRIME AND SUBPRIME FINANCING AVAILABLE ...APPLY ONLINE WE SHIP EVERYWHERE... COMPREHENSIVE EXTENDED WARRANTIES AVAILABLE ON DEMAND.